At EverLine Coatings we offer a number of interior line painting services to Calgary businesses. These services include safety and production flow floor markings, plant and warehouse forklift traffic line markings and parking garage and parkade line painting. We are one of the most experienced interior line painting companies in Calgary and can handle any interior floor marking job you may need done. 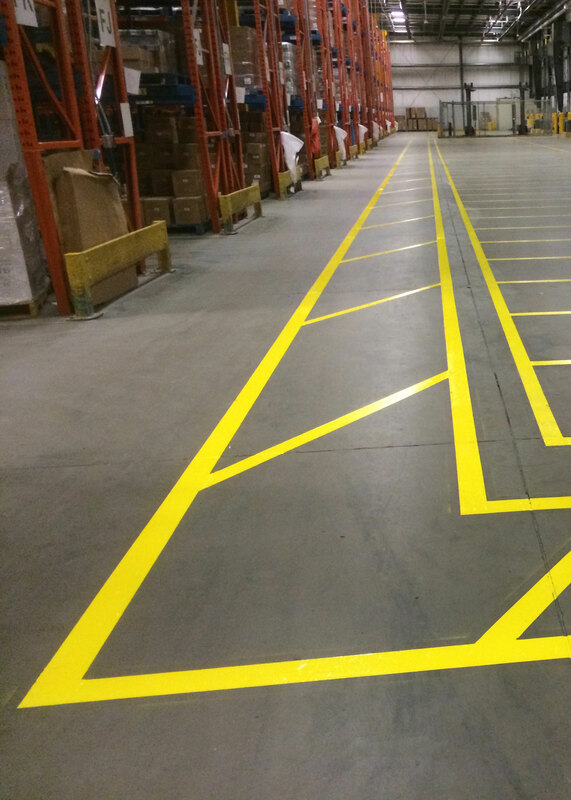 We have worked in a large variety of environments and have completed a wide variety of safety, production and forklift traffic markings projects. Depending on your business and the job you want done we can customize your floor marking project so we provide you with the right material, match your budget, fit your window for application and provide a durable end product. We employ a number of interior line painting crews at our Calgary location which, allows us to work quickly and efficiently ensuring minimal disruptions to day or night operations. For more information on a interior floor marking services please contact our Calgary office.